We understand that making improvements to your home is one of the most important investments you’ll make. We are here to add value to your home by providing an end product that not only meets your expectations, but far exceeds them. Winner Best of Houzz service award 2016, 2017 & 2018. Get Decked Out offer you only the best of quality products and materials. We also stand out from our competitors by the quality of our work and our wealth of knowledge. (For instance, we often get called on by other building companies to construct roof framing that is too difficult / technical for their own carpenters). Our aim is to help you create a dynamic outdoor living area that will bring you enjoyment, relaxation and enrich your quality of life – “third space”. “Third space” is defined as a place where you can escape the pressures of life (work and household) and enjoy your surrounds with the people you care about. Whether it’s your backyard, a sunny deck or a courtyard, we want to help you get the most out of your “third space” by creating an outdoor living area that will adapt as your environment changes. Aalta offers a diverse range of quality retractable roofs, awnings, shade structures and accessories such as heating, lighting and furnishing. Our experienced consultants and designers will help you create that dynamic outdoor living area. 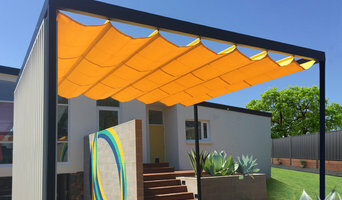 Outrigger has been designing and manufacturing custom designed awnings and sails since 1994. The company specialises in high quality domestic and commercial awnings and currently manufactures a wide range of awnings from its Brookvale factory. Outrigger has full engineering design, computer aided design, and in house manufacturing facilities. 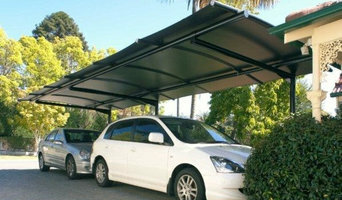 Awnings are made with the best quality materials and designed to withstand winds between 100-140km/h winds. Urban Decking specialise in the residential & commercial pool, spa & first-floor decks, outdoor kitchens, alfresco areas, screens & pergolas. All our creations are specifically designed & built to our customer specifications and budget. We pride ourselves on our quality craftsmanship, professionalism, attention to detail & most importantly delivering to our customer's vision. Patioland is a family owned and operated business located in Thornleigh and has been constructing decks, patio covers and pergolas in Sydney’s northern suburbs for nearly 30 years. Patioland has a wealth of experience working on many sites, from the steep slopes Northern Beaches and Lower North Shore to the bushlands of upper North Shore, Hornsby and the Hills district. Over these years the business has retained the ethos of ‘personalised attention to its customers’; combined with ensuring that Patioland products are of superior quality and workmanship and delivered with efficiency and great care. Patioland has built its business on the key values of: Customised design: flexible to clients lifestyle, site and home Professional Craftsmanship: reliable, trusted and skilled tradespeople with attention to detail and the ability to be resourceful when solving problems that may arise through the process Excellent communication: listening to client requirements to deliver a product on brief, and ensuring all parties are kept up to date on the progress of the job. ATS Awnings & Additions is a family owned and operated business. 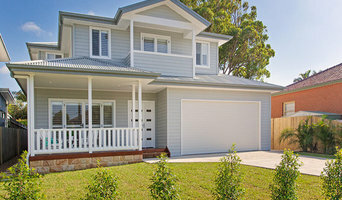 With a combined experience of 35 years we are able to cater for all your home improvement needs. We will come to your home and work closely with you to find the best design option that will not only fit your budget, but also compliment and add value to your home. We strive to make the experience as easy for you as possible by providing onsite quotes, planning, organising the council approval and clean up on completion. All our designs are built with the harsh Australian climate in mind, so we only use high quality materials that come with up to 25 years manfacturer’s guarantee. Bike Storage The secure and convenient way to store your bikes. The BikeBox is the practical and easy to use storage cabinet for bikes and other household items. Whether it's for you car space in the basement garage or in the backyard of your home, the BikeBox offers unparalleled security, storage capacity and convenience. Simply raise the gast strut assisted folding door to create a wide, easy to access storage space. No awkward or heavy lifting of your bikes - just place them straight in , then lower and lock the door. Fits up to 3 bikes Available in 2 sizes, 3 colours Easy-to-use gas strut assisted folding door Made in the UK It is constructed from a unique PVC coated galvanised steel (ColourCoat LG) that offers excellent longevity and weather protection when installed outdoors. The BikeBox™ is the only cycle store which has been tested and certified by the UK Loss Prevention Certification Board and awarded the LPS1175 Security Rating 1 The BikeBox™ has achieved the UK Police SBD mark (Secure By Design) “Preferred Police Specification.” "The BikeBox is the bicycle storage solution that protects your bike from theft and the weather"! TopDecks Sydney is a construction company specialising in the building of decks and pergolas. We are familiar with all timber species, innovative products and the latest trends in decking and outdoor design. Whether you're replacing an old deck or installing a new one, let us be your deck and pergola specialists. We pride ourselves on quality, affordability and accountability. All customers are valued and we work hard to ensure they are kept front of mind and satisfied with all work performed. Our experience paired with smart building techniques ensures competitive quotes for all services. We are located in the Inner West and offer services all over Sydney. If you're looking for a professional decking specialist who looks after his clients, give us a call for a FREE no-obligation quote. We are a family owned and operated business located in Dural, and as the Hill’s Districts leading experts in the design and construction of outdoor living and entertainment areas, we stand by our commitment to deliver projects with an impeccable level of passion. We pride ourselves on professionalism and reliability by providing our clients with the utmost highest standard of service and this can be seen in every aspect of our work. We service the Hills District and surrounding suburbs, if you are unsure if we service your area please phone our office to confirm before heading into the showroom to avoid dissapointment. Aussie Outdoor Living design and install outdoor living and entertaining areas, no supply material only. We do not offer any repair work to existing structures and roof sheeting and we do not use hardwood or timber for our structures or decking boards – purely aluminium only! Our business is committed to creating amazing outdoor landscapes where families can have fun and spend quality time together. We work hard to not only meet our client's needs, but to also exceed their expectations. At the end of the day, our goal is to bring joy into our client's lives through professional landscaping design, construction and maintenance services. Some contractors in Sydney, New South Wales can custom design and build any type of outdoor structure, from decking to pool houses, while others specialise in a certain area. A deck, patio and outdoor structures contractor will typically survey your space and come up with a design that complements your backyard and the exterior of your Sydney, New South Wales house. 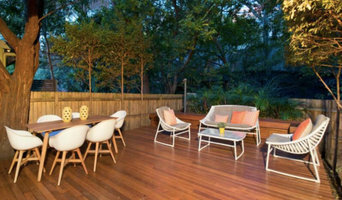 Find a Sydney, New South Wales deck, patio and outdoor structure pro on Houzz. Scroll through this page to professionals in your area that can design, build and supply materials for all types of outdoor structures. You can browse their latest projects, read reviews to see how other homeowners rate their work, and message them directly.